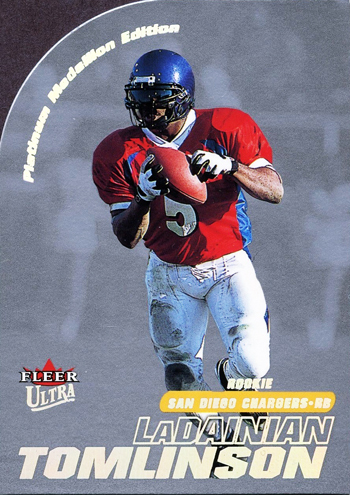 Living in San Diego it is hard to accurately convey just how disappointed fans were when LaDainian Tomlinson left us. It was devastating to lose him and watch him play out his final days with the New York Jets. 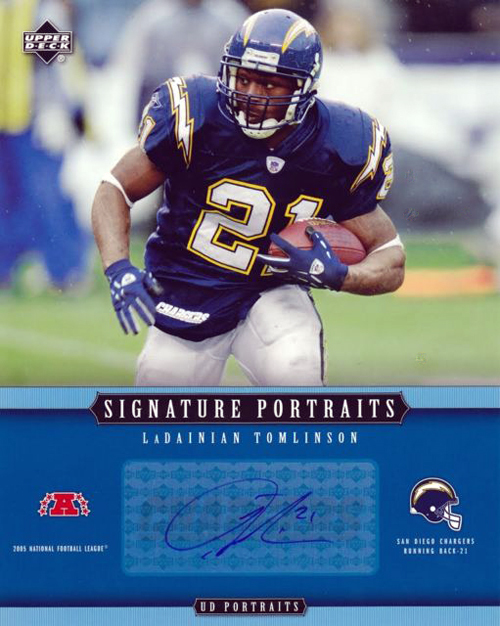 That is why it was so exciting to hear that LT had signed a contract with the Chargers today and then immediate retired. 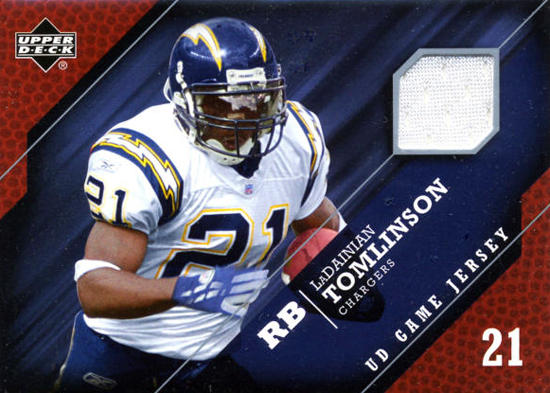 You felt like the Chargers got it right and LaDainian had come home. 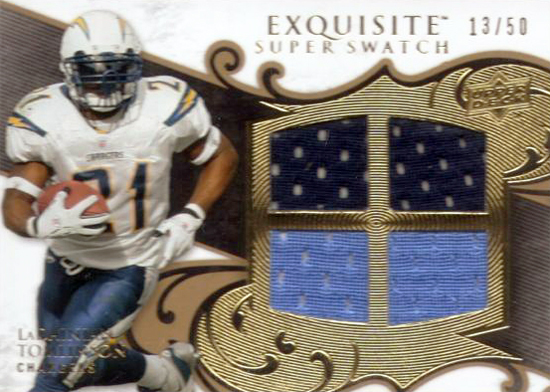 LaDanian takes time for the fans at Chargers Headquarters today. 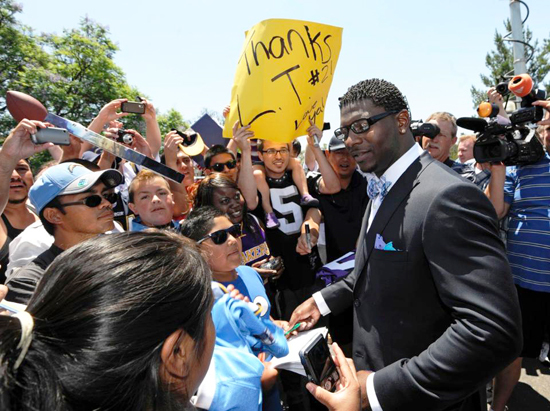 Fans came out to Charger headquarters today just for the chance to get a glimpse of one of their all-time favorites and LT did not disappoint by making time for all of them. 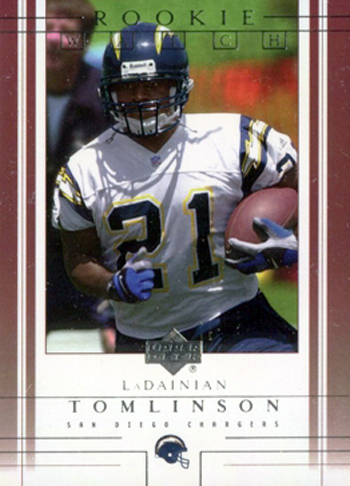 And then it came time to get down to business where Tomlinson signed the contract that would make him a member of the San Diego Chargers again. 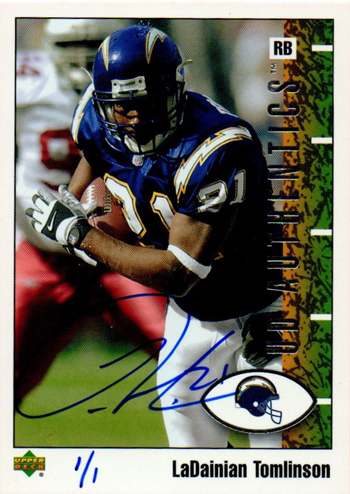 LT signed a deal to return to the Chargers and then immediately retired. 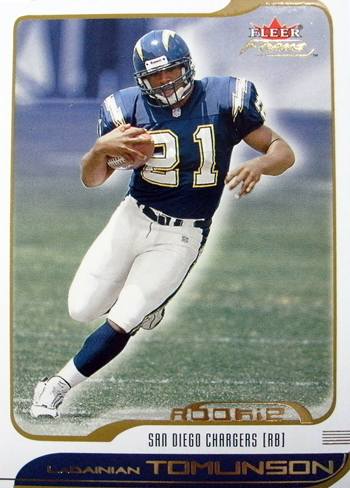 As a Charger fan, I was so happy to see this as Tomlinson played a huge role in making the Chargers a contender each year. 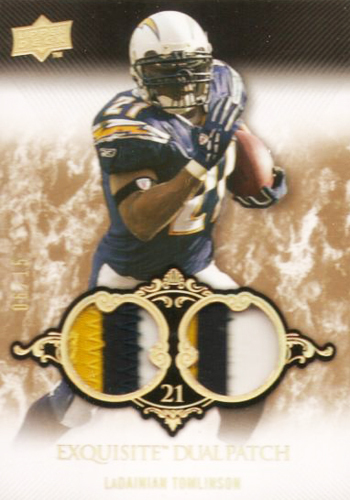 Thanks for the memories LT! 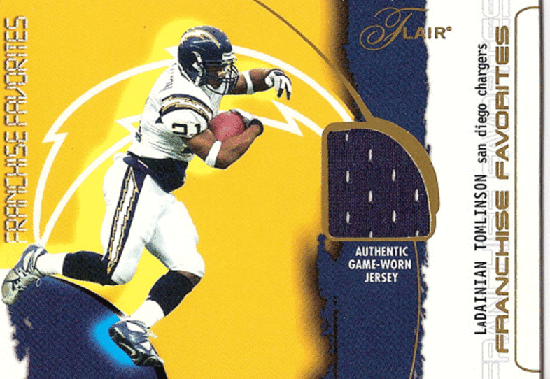 As a thank you to this special player, we have put together a gallery of some of our favorite LaDainian Tomlinson cards from over the years. 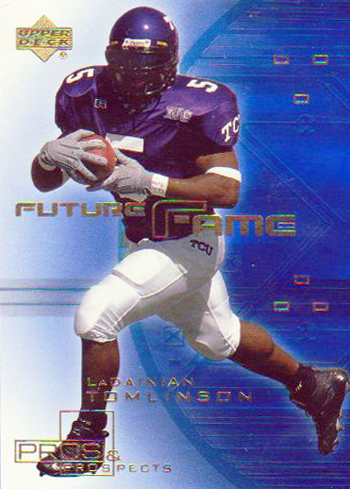 Enjoy this tribute in trading cards to the amazing career of LaDainian Tomlinson. 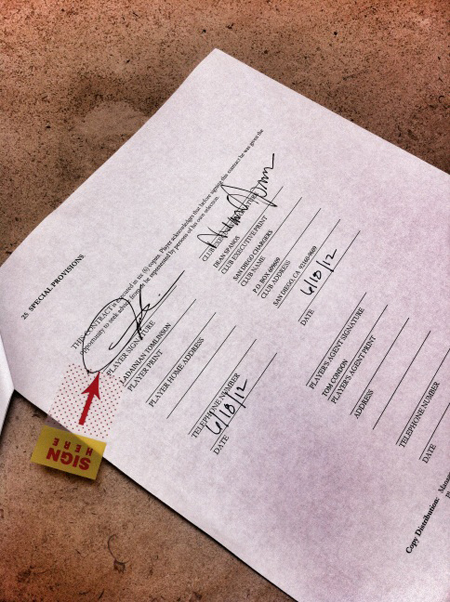 Contract & LT photo provided courtesy of the San Diego Chargers. 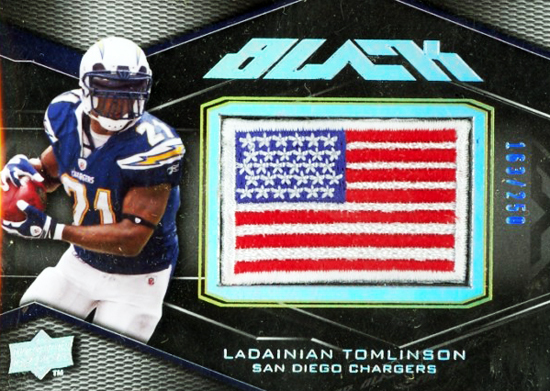 Follow the Chargers on Twitter @Chargers.